Welcome to late fall and the end of the traditional cottage season! Though July and August were wetter than we would have liked, September and October were a very pleasant surprise, providing us with some of the warmest days of the season. In fact, residents around the lake were boasting of their October swims! But boats and water toys have been taken out of the water, portable docks have been moved, and most of us have our buildings winter-ready. So now, it’s time to bring on the snow! If you haven’t ventured to your lake property during the winter, I would strongly encourage you to do so. Aside from various winter sport options, there’s the sheer beauty of snowy landscapes and the stillness of winter nights. It really is a totally different experience from summer fun in and around the water. For your Stewart Lake Association executive and volunteers, the tasks continue regardless of the season. As you peruse this website, you’ll find updates regarding the work they are doing on your behalf, including an update from the Water Level Committee, a follow-up to the September email about algae in the lake, as well as other matters of interest and concern. Over the course of this winter, they will be developing Lake Association resources to be distributed to all lake residents in 2018, as well as beginning the planning for next year’s AGM and Buckeye BBQ. It is my privilege to serve as the Association president for the next two years, and I thank the Board of Directors for their confidence in me. My family has had property on the lake for forty-five years, and my husband and I have made Stewart Lake our year-round home for the past six years. Our five children and six grand-children all spend time on the lake, and I am passionate about ensuring that our lake is as healthy as it can be so everyone can enjoy it for many years to come. 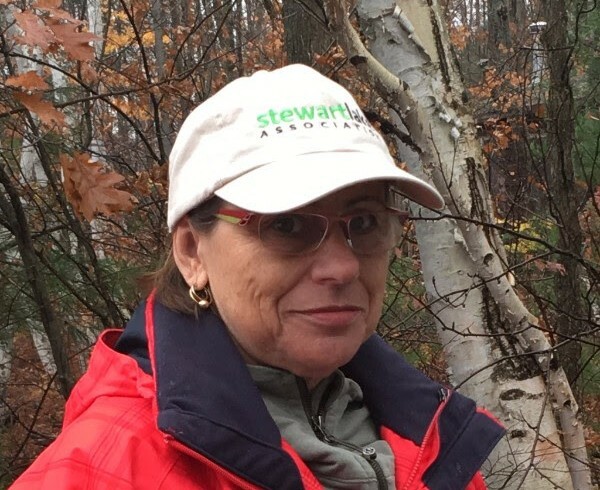 As Association president, I am committed to continuing the work of the previous Boards of Directors, in reaching the objectives stated in our Association Constitution: “ to promote the protection, preservation and responsible enjoyment of Stewart Lake through collaboration and co-operation of its residents”. I look forward to working with all of you in reaching this goal. Enjoy sweets and treats on Stewart Lake while supporting the Canadian Cancer Society!